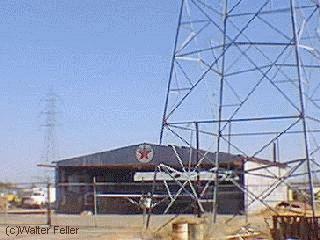 Boron is located in Kern County at the border of Kern and San Bernardino Counties along State Route 58. 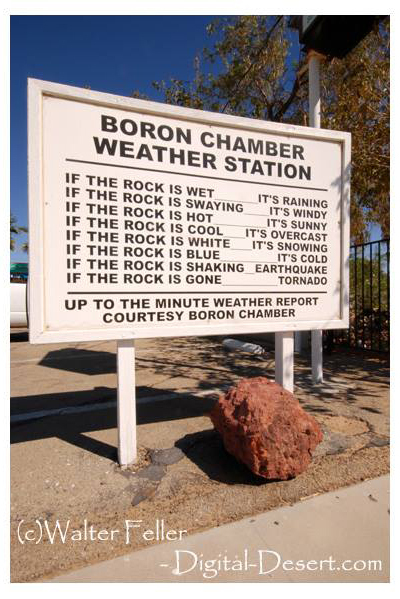 Boron is 65 miles (105 km) north of Palmdale, 85 miles (137 km) east of Bakersfield, and 40 miles (64 km) west of Barstow in the Antelope Valley region of California's Mojave Desert. Dr. J. K. Suckow was drilling a well for water 4 1/2 miles northwest of Boron when he discovered colemanite, a borax ore, in October, 1913. 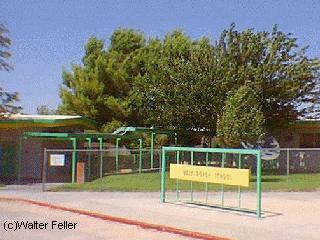 After his discovery, mining claims, mostly placer, were located in the area. 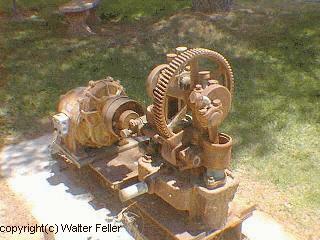 The Pacific Coast Borax Company, upon recommendation of its field engineer, Clarence Rasor, acquired many of these claims, including the discovery well. The company then started explorations to determine the extent of the orebody. Suckow continued to have an interest in the area, working prospects east of his discovery well. In 1924, anxious to repeat his good fortune, Suckow sunk a shaft one-half mile away from his first, and he struck basalt at 180 feet (55 m) . The Pacific Coast Borax Company did their own prospecting in the same area, with almost the same results: basalt at 190 feet (58 m). However, persistence paid off. That same year Suckow sunk another shaft just a little south of his last one and found a 70-foot (21 m) thick bed of colemanite at 210 feet (64 m). In 1925 the Suckow Chemical Company produced a few hundred tons of colemanite from this shaft. In the Spring of 1925, William M. Dowsing and J. L. Hannan discovered a huge deposit 120 feet (37 m) thick just 1 1/2 miles west of Suckow's shaft, which they kept a secret until its extent was proven. Sold to the Pacific Coast Borax Company in early 1926, it became known as the Baker Mine. Beginning production in 1927, it yielded a substantial percentage of the borates produced in the Kramer District until 1935. Production began in December, 1929, at the Suckow Mine, located near the Baker Mine. Suckow Borax Mines Consolidated, Ltd. shared half-interest as tenant in common of the Suckow Mine with Borax Consolidated, Ltd. The two companies became involved in litigation which resulted in the closure of the mine in 1932. 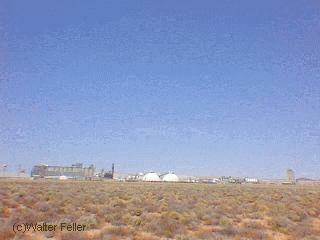 It was reopened in 1935 as the West Baker Mine with the Borax Consolidated, Ltd. as owners." A large borax deposit was discovered in 1925, and the mining town of Boron was established soon thereafter. 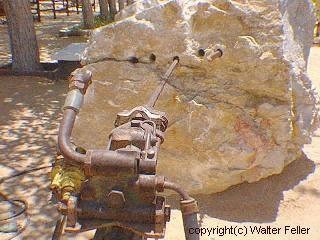 This borax deposit is now the world's largest borax mine, which is owned by Rio Tinto Minerals (formerly U.S. Borax). This is operated as an open-pit mine, which is the largest open-pit mine in California. This mine supplies nearly half of the world's supply of refined borates. Rio Tinto Minerals is Boron's primary employer, employing over 800 people. 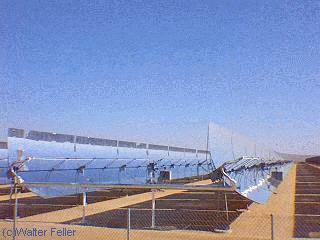 6 miles (9.7 km) east of Boron, across the county line in San Bernardino County, is the world's largest solar power production facility. 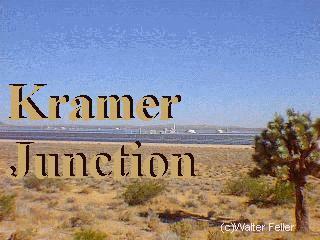 The Kramer Junction Company (KJC) is the Managing General Partner of the five 30-Megawatts Solar Energy Generating Systems (SEGS) facilities located in the Mojave Desert at Kramer Junction, California. Together with its wholly owned subsidiary, KJC Operating Company, KJC operates and manages these facilities (SEGS III-VII). These units generate enough electricity to provide the electrical needs of 30,000 to 40,000 homes without the use of fossil fuels. 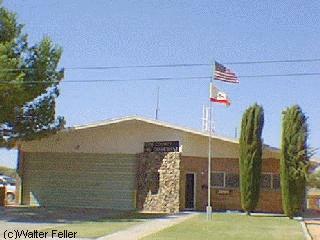 Boron is populated primarily by descendants of Oklahomans who came to California during the Great Depression. 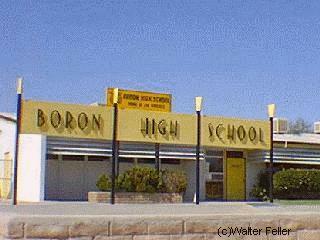 Despite its location only hours from Los Angeles, many people in Boron speak with an Oklahoman drawl. Boron was the home of "Walking George" Swain, whose penchant for walking made him a legend. George earned his name as "Walking George" because he never owned a car, or home, and walked to and from work � from his home, which was always rumored to be just a hole in the desert. He supposedly kept himself warm at night with a covering of newspapers. His wardrobe was always the same: wrinkled shirt and pants with well-worn boots. He attended local events and often played the piano for entertainment. 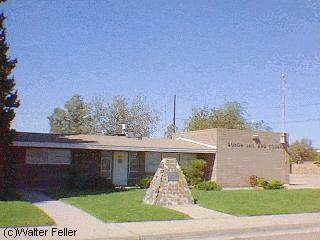 He taught piano to children in Boron and played at the Baptist Church. On his 59th birthday in 1978 an article about George appeared in the Los Angeles Times. By May 1979 he was featured on the TV show "Real People". He died on April 25, 2000. 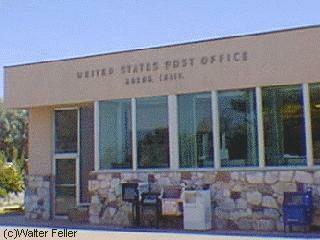 The first post office at Boron opened in 1938. 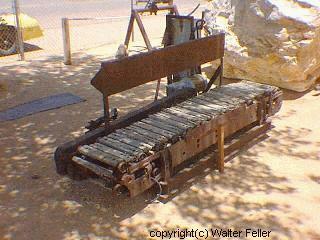 In 1881 Aaron Winters, was a prospector who was living in the Ash Meadows region of Death Valley with his wife, Rosie. One day, the Winters met Henry Spiller, a wandering prospector and offered him a place to stay for the night. Spiller told the Winters of the growing interest in the mineral borax and showed them crystal samples of the mineral he called "cottonball". Aaron Winters took one look at the crystals and realized there were acres and acres of this mineral on the ancient lake beds that covered the floor of Death Valley. The next morning Spiller left and Aaron Winters rode off to the nearby lake bed to gather a sample of the crystals he believed to be the mineral the stranger had described to him. Winters gathered a bagful of cottonball crystals and headed back to Ash Meadows. Stiller had told Winters about a test for borax which included pouring alcohol and sulfuric acid over the crystals and set it on fire. If the flame burned green, it was borax. Shortly after sundown, Winters and his wife performed the test on the sample that Aaron had gathered from the dry lake bed. Aaron shouted to his wife, "She burns green, Rosie. We're rich, by God!" The Winters quickly sold their Death Valley claim to William T. Coleman, a prominent San Francisco businessman for $20,000. Word of the discovery spread quickly and the borax industry in Death Valley was born. 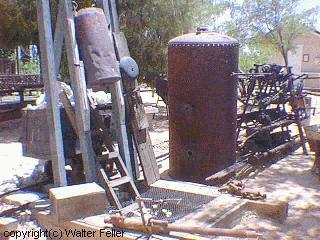 In 1882 Coleman opened the Harmony Borax Works near what is today called Furnace Creek. Coleman hired Chinese laborers to scrape the cottonball ore from the ancient lake bed and paid them a mere $1.50 per day. The blazing 130 degree heat of the Death Valley floor made the reprocessing of the ore nearly impossible at the Furnace Creek location. Coleman decided to move the processing to nearby Shoshone and built the Amaragosa Borax Works. The two plants produced approximately two million tons of borax a year but, left Coleman with a unique problem. 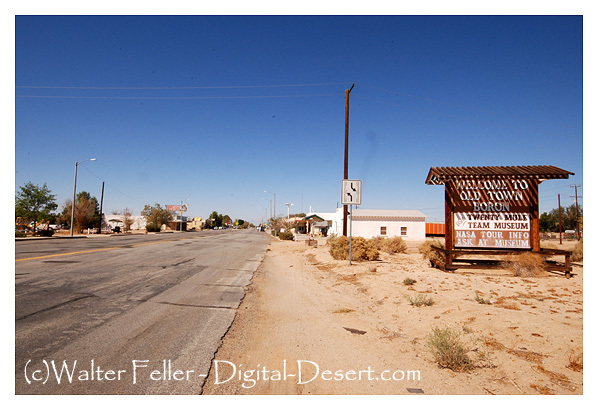 How to get the borax to the nearest railroad spur located 165 miles from Death Valley in Mojave? Coleman's mining superintendent J.W.S. Perry and a young muleskinner named Ed Stiles came up with the idea of hauling the borax ore to Mojave by hitching two ten-mule teams together to form a 100-foot-long, twenty mule team. The borax wagons had to be hauled up and out of Death Valley, over the steep Panamint Mountains and across the scorching desert to reach Mojave. The 20-day round trip started 190 feet below sea level and climbed to an elevation of 2,000 feet. 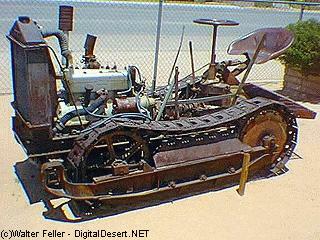 Specialized wagons would also be needed to haul the ore to Mojave. 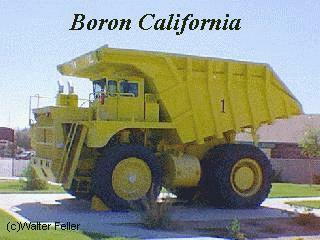 The borax wagons were built in Mojave at a cost of $900 each. Each wagon was designed to carry ten tons of borax ore and to withstand the grueling trip across the treacherous Panamint mountains and to grind through the sand and gravel of the arid desert floor. 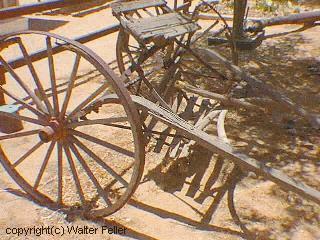 The wagon's rear wheels measured seven-feet-high and the front wheels measured five-foot-high. The tires were made of one inch thick iron and measured eight inches across. The wagons beds measured 16 feet long and were 6 feet deep. The wagons were constructed of solid oak and weighed 7,800 pounds empty. When the two wagons were loaded with ore and a 500 gallon water tank was added the total weight of the mule train was 73,200 pounds or 36 1/2 tons. When the mules were added to the wagons the caravan stretched over 100 feet. Eighteen mules and two horses were hitched together by single and double trees to form the twenty mule team. They were then latched to an 80-foot chain running the entire length of the team which was fastened directly onto the lead wagon. A long rope ran through the collar ring of each left-hand mule up to the lead mules. This rope was called the "jerk line" and was the primary method the driver had of controlling the team. 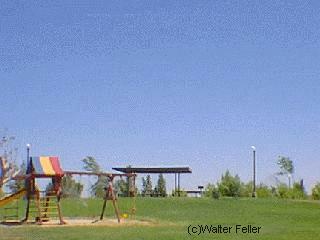 A steady and hard pull of the jerk line turned the mule team to the left. A series of jerks turned the team to the right. Three men were needed to operate the twenty mules team. The "Driver" sat on top of the lead wagon and held the reins while guiding the team across the rugged terrain of the Mojave Desert. The "Teamster" or "Muleskinner" rode one of the horses which were the last two animals in the line. One of the "Muleskinner's" primary responsibilities was harnessing and unharnessing the team and handling the brake of the lead wagon. 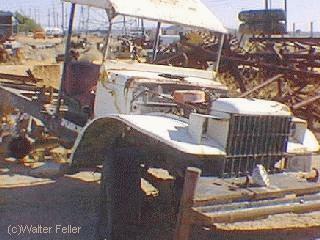 The "Swamper" rode on the rear wagon and was responsible for manning the rear wagon's brake on the steep downhill descents. He was also the chief cook and dishwasher on the trip. 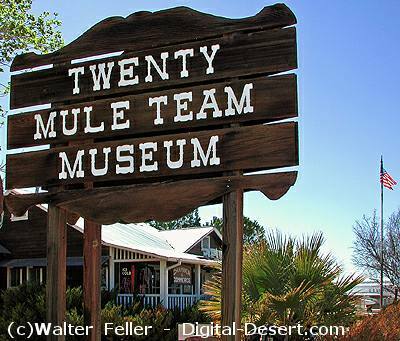 The Twenty Mule Teams hauled more than 20 million pounds of borax out of Death Valley between 1883 and 1889.